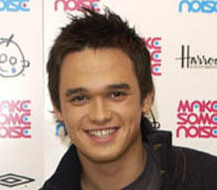 I hated Gareth Gates when he was on Pop Idol. Like properly full out hated him. But this snivelling, stupid haired child from Bradford had captured the ££ signs in Simon Cowell’s eyes and swiftly became the nation’s sweetheart. Of course Gareth lost, but a record deal was merrily handed out. Boring covers followed, but his 2nd single Anyone of Us, although now sounding quite outdated, has to be one of the most perfectly constructed pop songs of the last 5 years. Gareth went away for a couple of weeks and came back with some new songs and most importantly a really good new hairstyle. The importance of his hairstyle should not be underestimated. 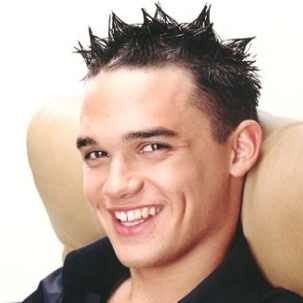 It was a proper popstar mop. It was hair that made popstar king of hair Dougie’s hair look like the hair of a dustman. But the album… well the album was interesting. For starters, who ever told Gareth that his 2nd album should be a double CD with one cd for ‘day’ and one for ‘night’. A double CD is pushing it even if you’re an established artist (see Back to Basics, Suit/Sweat), but when you’re a disposable pop artist – never attempt it. Go Your Own Way’s first release used the trademarked Charity will get me a No.1 single approach, with a cover of Spirit In The Sky being released as the Official 2003 Comic Release song. Then came the rather wonderful Sunshine, cruelly dismissed by tabloids as a failure because it only reached no. 3. Originally planned to be Lemar’s first single, it made Gareth sound like he’d grown up and even a little George Michael-y. While the ‘Day’ album can unceremoniously be tossed into the bin and set alight, ‘Night’ is full of grinding dancefloor could-be singles. I can’t seem to find my copy so am basing this on memories alone, but Absolutely was the highlight. Then came the fall from grace. Jordan revealed Gareth had slept with her when she was 6 months pregnant. Gareth denied but later admitted the relationship. But it was too late, Jordan had already started using phrases like ‘poked the baby’s head’ and his label and fans had fallen out of love with him. 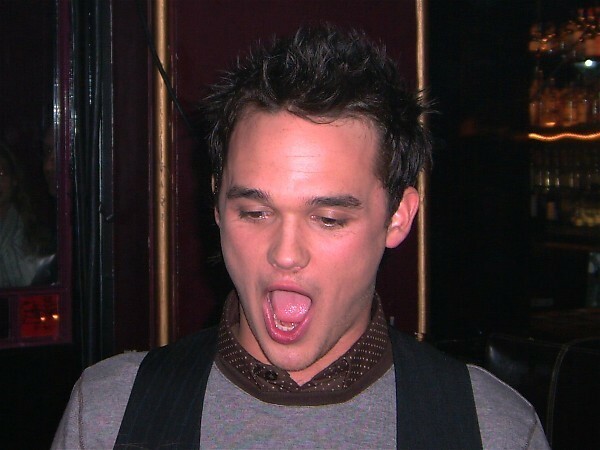 Finding out that Gareth Gates did a intimate gig in late November has got me worried. I knew nothing about this until tonight having spent far too long over the past couple of weeks solely trying to figure out which Alesha single goes in my Top 10 of 06. Anyway, yes, he had a secret gig and there were screams all round in Paradise when an advert for a documentary called "Whatever Happened To Gareth Gates" aired after X Factor last week. This show will air on ITV1 this Saturday night at 7.30. The press release uses phrases such as sparked near riots … speaking fluently .. cautionary and brave. Brilliant. Download Sunshine // Buy Go Your Own Way // Please send me Absolutely! I sometimes wonder if not seeing Pop Idol has affected my perception of him…anyhow, I had no idea that “Sunshine” was originally going to be a Lemar single! I seem to remember the reason for the Double CD was a major falling-out between Simon Cowell (who wanted an album of dreary Westlife-style ballads) and Simon Fuller (who wanted a proper pop album, not surprising considering he masterminded the careers of the Spice Girls and S Club). Both refused to back down and the double album was the result. Hooray for Absolutely. Thank you Poster Girl! It seems we all went through a spurt of blogging about Gareth yesterday! Ha.